As retailers and supply chains feel the impact of the ever-growing Amazon effect, collaboration, visibility, and mobility gain importance. Amazon’s CEO, Jeff Bezos, recently announced that Amazon now has over 100 million paid Prime members worldwide, and is adding more new members year-over-year. The full Prime offer is now available in Australia at half the rate of U.S. memberships and offers the most extensive set of Prime benefits at launch – ever. Customers will have access to unlimited free two-day shipping (or same-day / two-hour deliveries) in all metro areas, and free three- to five-day shipping for non-metro areas, which comes bundled with unlimited access to Amazon’s music and video streaming services. 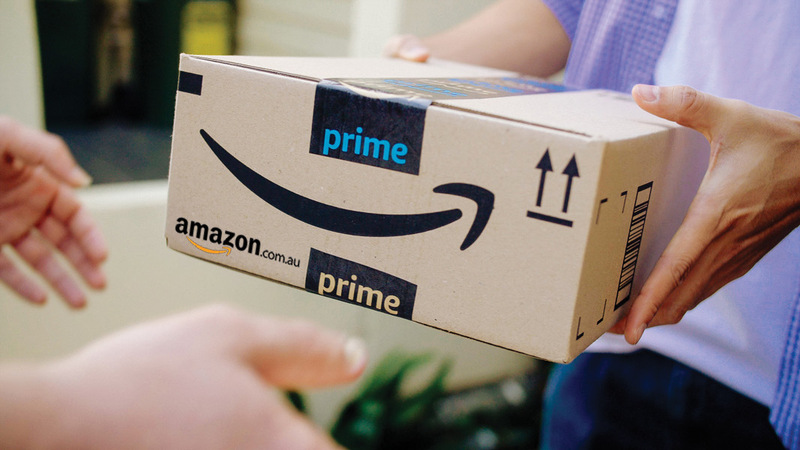 Consumers in Australia can use Prime Video and Twitch Prime (for gamers), and have exclusive access to free release date deliveries and deals on Prime-eligible items. Previously, goods were available from all international sellers, but starting 1 July consumers will be redirected for all sales to go through Amazon’s Global Store on their AU site to meet goods and services tax (GST) on low value imported goods (LVIG). So what does all of this mean for retailers, and the supply chain and logistics industry of Australia? Launched in February, Fulfilment by Amazon (FBA) allows traders to send their products to Amazon’s fulfilment center and pay the global e-commerce giant to store, pick, pack, and ship orders to consumers in Australia and overseas, as well as handle returns. Australian online shopping grew 18.7 percent in 2017, and shorter delivery times combined with increased consumer demand are forcing the market to develop more competitive supply chain practices. What the supply chain and logistics sector needs to remember however, is that in order to keep up, carriers and retailers are wise to collaborate and use each other’s strengths to keep services efficient and affordable. Network connectivity provides substantial benefits to effectively manage speed and cost with better data exchange and visibility to products in transit. Real-time information from distribution to doorstep has revolutionized the way we track and trace deliveries, but what about when it comes to returns? Retailers have put a spotlight on improving the customer experience including the ease of making returns. Products floating in limbo affect retailer inventory, but more importantly customer service. This is where information sharing is critical. Consumers and retailers need to have line of sight on where their parcel is and how their return is being managed effectively. Having drop-off locations and lockers can help with this process, but the whole journey needs to be handled just as carefully as the initial delivery. Investing in a mobility solution can deliver automated, real-time track and trace, and last-mile routing, enabling carriers to share shipment and driver information with partners up and down the supply chain. With the arrival of Amazon Prime and other quick delivery services, giving consumers control and updates on demand is now more important than ever to remain globally competitive. Even as Amazon narrows its product selection to Australian consumers to meet GST compliance, they’ve reached out to U.S. brands to widen that selection and will continue to plan aggressively serving the market with new fulfillment centers. The focus however, should remain on consumers’ increased online shopping habits. With other available online marketplaces and e-commerce companies like eBay and Alibaba looking to grab market share, companies need to have a well prepared supply chain model to meet their growing customer demands.